He further argued that qualified and willing individuals should not be deprived of the opportunity to serve, implying that one’s credentials and experience in governance were adequate and legitimate justifications for the proliferation of political dynasties. 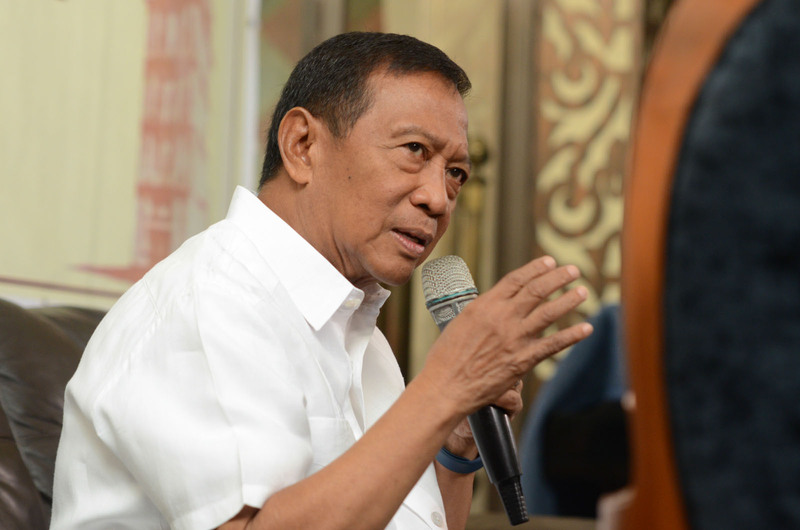 Disconcerting as it was, Binay’s unabashed defense of political dynasties came as no surprise. In a previous forum held at the University of the Philippines in Los Baños, the vice president echoed a similar sentiment. He insisted that widespread poverty should be blamed on incompetent leadership and not on political dynasties, citing the economic success of his bailiwick, Makati, as a testament to his family’s dedication to public service. The vice president added that only families that violate election laws and resort to violence are harmful. Binay’s position suggests that the enduring practice of political succession based on bloodline is a non-issue. His insistence on allowing capable individuals to seek public office despite being direct beneficiaries of dynastic politics lends credence to sociologist C. Wright Mills’ observation that a single elite faction (or family), not a multiplicity of competing groups, has legitimacy to rule and decide the “life-and death” issues for a nation provided that it possesses the skills, knowledge, and experience necessary to be effective. While the definition of political dynasty may be problematic as Binay suggests, what constitutes skills, knowledge, and experience is also unclear, and therefore subject to arbitrary interpretation. But if we were to adopt Mills’ critique, these attributes are partly acquired through rigorous training and the forging of social networks – experiences that privilege the upper class who have traditional access to good education and influential connections. Furthermore, being capable may mean one’s familiarity with the ways of patronage politics and willingness to practice them. It may require the ability to elicit awe and admiration among one’s constituency while being proficient at keeping the impoverished majority dependent on dole-outs. The ambiguity that Binay points out, in other words, becomes his ally because it legitimizes his claim that dynastic politics is normal, an inevitable fact of life. A critical gaze at Philippine political history, in fact, sends a disturbing message that the presence of political dynasties seems normal and incontrovertible. Despite the constitutional provision (Article II, Section 26) that renders this practice unlawful in theory, the steady entrenchment and proliferation of political families enjoying elective positions of power has remained unabated. The first round of elections following the EDSA uprising demonstrated this development. Municipal and provincial elections of 1988 saw an immense number of political clans win seats in government. At the national level, the Institute of Popular Democracy (IPD) reported that in 1987, 130 of the 200 members of the House of Representatives belonged to traditional political families, and 39 were related to these families. Only 31 congressmen had no electoral records before 1971, and were not related to these elite families. Meanwhile, a huge majority of senators consisted of individuals that came from established political clans. Recent figures illustrate that nothing has changed. In 2013, the Center for People Empowerment in Governance (CenPEG) documented that 73 of the 80 Philippine provinces, a staggering 95 percent, had political dynasties. It also revealed that 250 political families (out of the country’s 15 million families) or less than one percent have dominated local and national politics. Fifty-six percent belonged to traditional elite families while 44 percent were political dynasties that emerged after the 1986 uprising. Fifteen of the 23 senators have relatives in other elective positions. Eleven of these 15 legislators have relatives in the House of Representatives.